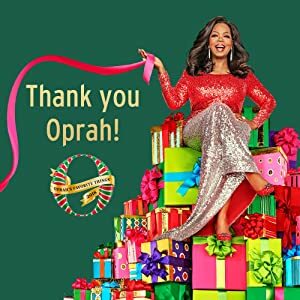 A beautiful gift box, specially curated for Oprah Winfrey. 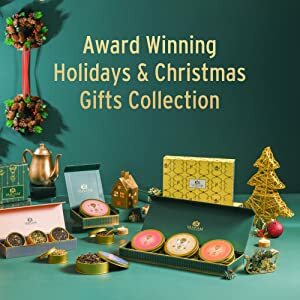 The perfect holiday assortment with 3 gold tin caddies filled with award winning teas and packaged in a luxury presentation box. We present to you a signature chai blend of robust, flavourful Assam black tea with the splendid, discernible flavours of freshly crushed cardamom and cinnamon. The malty flavour of bold Assam teas with the sweetness of cinnamon and hints of cardamom in the background to balance the brew- altogether a joyous experience! A smooth cup of tea with the right hit of tanginess to give you a refreshing and delectable cup of tea! The much popular Ginger Masala Chai has donned a bold and robust flavour here at Vahdam! 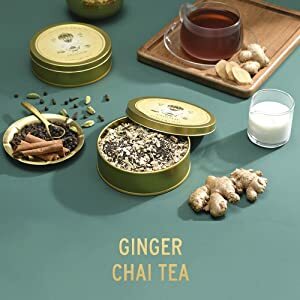 A unique and strong rendition of the Ginger Masala Chai blended with an assortment of fresh, aromatic Indian spices like cardamom, cinnamon, cloves, black pepper, and the sweet note of liquorice. This beautiful amalgamation offers a warm, spicy kick to the brew breathing new life into the everyday Ginger Masala Chai. The earthy goodness of ginger with an unusual vibrance! A prized in-house Oolong blend that shall uplift your day like none other! An enthralling mix of premium tightly-rolled, over-fired Oolong tea and an assortment of sweet woody spices. The leaves boast of an impeccable freshness of a forest floor, a deep earthy aroma of freshly-pounded spices, and the signature cocoa fragrance from the oolong tea which is accentuated by the muskiness of cinnamon and green cardamom. The liquor has distinct notes of cinnamon, cloves, black pepper, and green cardamom in the attack which linger onto the middle.There is an undertone of honey which only enhances the flavor further! Gift a token of our exuberant culture with a festive collection of 3 of our best-selling Chai Teas. Relish a cup of our delectable Ginger Masala Chai which is our bolder rendition of the warm ginger tea. 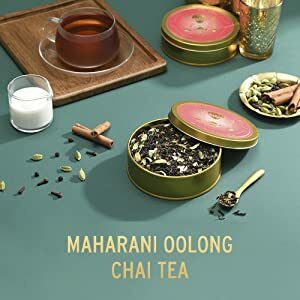 Satiate your senses with a cup of our in-house special Maharani Oolong Masala Chai, a play of premium, high-fired Oolong tea with a touch of rich, aromatic spices. 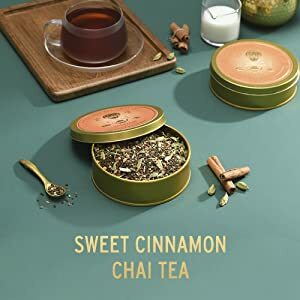 Enjoy the holiday fervor with our absolute, the Sweet Cinnamon Masala Chai – a majestic symphony of premium Assam black tea with cardamom and cinnamon All in all, a prized token of India packed in delectable tin caddies, in a joyous gift box! Vahdam Teas have been shipped to 85+ countries across the globe & is disrupting the 200 year old supply chain of tea by leveraging technology & cutting out all middlemen. Vahdam Teas has been featured by Forbes, PopSugar, GMA, O Magazine, Reader’s Digest, USA Today etc. in their 2018 Holiday Gift Guides. Vahdam Teas is the winner of the prestigious SOFI 2018 for the BEST NEW PRODUCT. Additionally, it won 6 Awards at the 2018 World Tea Championships. I come with a heritage of 80 years in the Indian tea industry. While I was working in my family bulk export tea business, I noticed the that the supply chain of tea was fragmented and consisted of multiple middlemen. A process which resulted in consumers drinking un-fresh low quality tea, a minimum of 6-12 months after harvest in the tea plantations. And also, since there was no home-grown brand from India, despite the fact that India grows some of the finest teas in the world (30% of the world’s production), millions of stakeholders in the Indian tea industry were facing an uncertain future. It is then I decided to take the plunge by launching Vahdam Teas, an online-first vertically integrated brand to cut out all middlemen & leverage technology to make available teas as fresh as in the gardens to consumers across the world. Unlike a fine wine, tea looses flavour, character & aroma with time. So unlike your everyday cup, VAHDAM teas do not travel in containers for months before being packaged and sold. All our teas are procured direct from over 200+ plantations & small tea growers within 24-72 hours of production, vacuum packaged garden fresh and shipped directly from source in India. By eliminating all middlemen we are not only able to make available garden fresh high quality teas but are also able to retain all earnings in the region where these divine teas are grown & nurtured by millions of growers with immense love, care and passion. A process which ultimately helps every farmer get a better for their produce. Sit back and relish the satisfaction of patronizing a truly ethical, fair-trade tea.